AKIPRESS.COM - Chinese State Councilor Zhao Kezhi said China hopes to boost cooperation with Tajikistan in law enforcement and security field, Xinhua reports. Zhao, also minister of public security, made the remarks during a meeting with Tajik Interior Minister Ramazon Rahimzoda. He called on both countries to implement the important consensus reached by the top leaders of the two countries and deepen cooperation on fighting terrorism, separatism and extremism, on Belt and Road construction security and on border control as well as law enforcement capacity building. 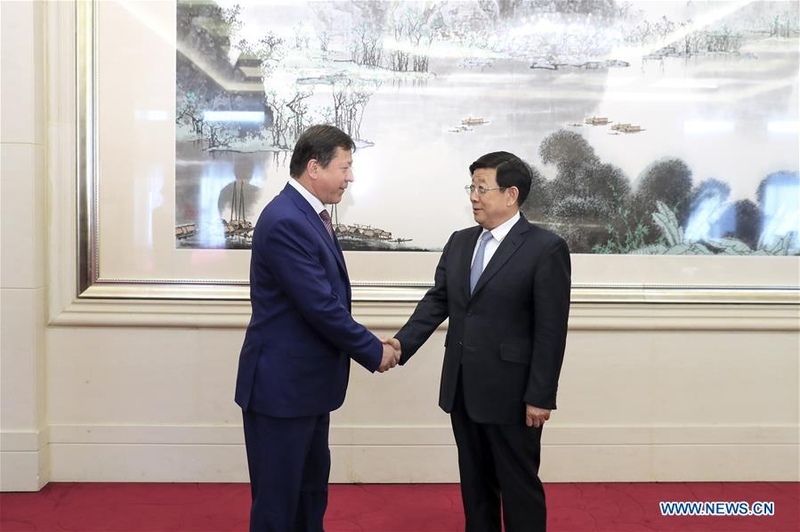 He hoped the two countries can establish a cooperation mechanism on maintaining security for large-scale events, create a new chapter in cooperation on law enforcement security and promote the development of the bilateral comprehensive strategic partnership. Rahimzoda said his country stood ready to work with China to deepen bilateral cooperation on law enforcement security.